KUALA LUMPUR: The number of tuberculosis (TB) cases in Malaysia declined 1.3 per cent in 2018, recording a total of 25,837 cases, compared to 26,168 cases in the previous year. 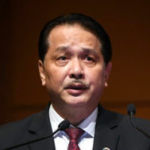 According to Health Director-General Datuk Dr Noor Hisham Abdullah via a statement on his official website yesterday, Selangor recorded the highest number of TB cases in 2018 with 5,071, followed by Sabah (5,008). “The death rate due to TB in 2018 is 6.6 per 100,000 people, an increase from 6.5 per 100,000 people in 2017. Sabah recorded the highest number of deaths in 2018 with 376 cases, followed by Selangor (375). “In this regard, it is important for patients to receive early treatment to avoid complications and death from tuberculosis and at the same time, prevent transmission to others,” the statement said in conjunction with the World Tuberculosis Day celebrated on March 24. Dr Noor Hisham said in line with this year’s theme, “It’s Time: Detect, Treat and Prevent TB”, individuals experiencing symptoms of the disease should immediately get a screening done at the nearest health clinic. “Among the main symptoms of TB are cough lasting more than two weeks, fever, night sweats, lack of appetite, weight loss and coughing up blood. However, there are some people who think that this may be ‘common cough’ that will be ‘cured’ with a week’s dose of antibiotics. “It is misconceptions like this which still allows the disease to spread and infect other individuals. The fact is that TB medication needs to be taken daily for at least six months,” he said. TB cases in M’sia on the decline: Health D-G 0 out of 5 based on 0 ratings. 0 user reviews.